Again, our forecast has bring many members joy! 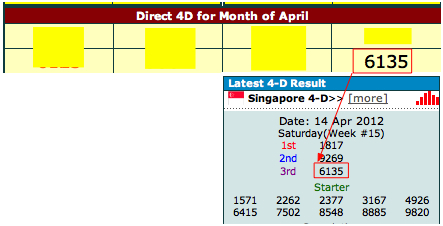 One of the 8 monthly direct number forecasted for April came straight on 14 April 2012 to 3rd prize. The number is 6135. Join our Gold membership now and start to see our forecast and benefit from it.